Andy Dunau never aspired to run for public office. It was only when the polarity between the left and right intensified last November, and in the time since, that he felt the impulse. "To me, if people don't start standing up and saying, 'Hey we can pull this back together, we don't have to be like this,' then you can't complain about what you have," he says. 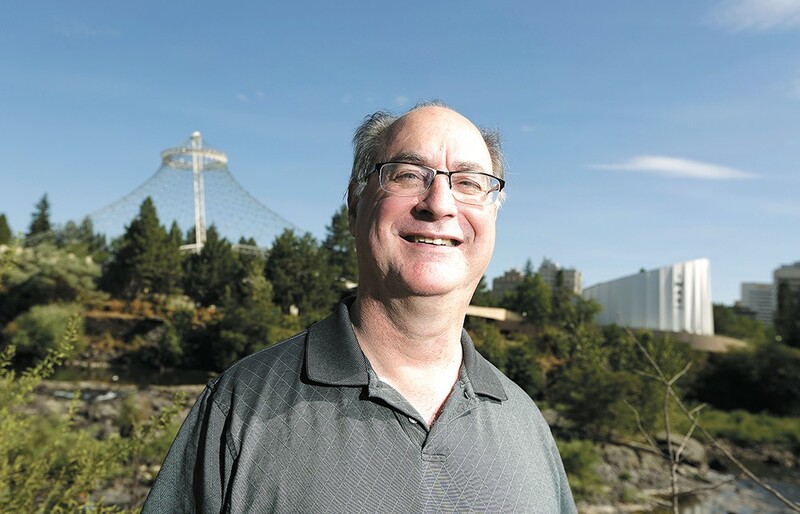 Dunau, a former Spokane Park Board member and owner of a local communications consulting firm, is challenging Councilman Breean Beggs for his District 2 seat. Dunau touts himself as a collaborator, who looks for compromise. He says that Beggs' "social activist agenda" places the incumbent squarely in the council's super-progressive majority. Dunau's brand of fiscal conservatism will bring balance to the council's "Seattle-lite" style of governance, he says. 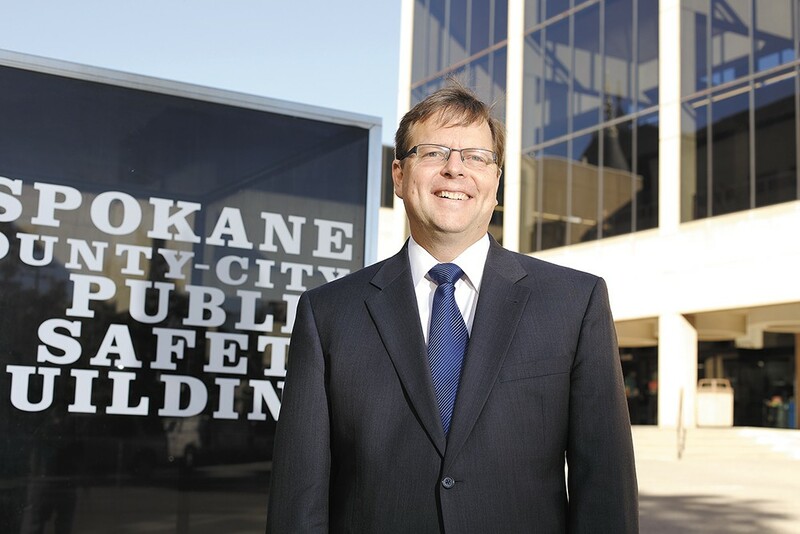 Beggs, appointed in 2016 to replace former Councilman Jon Snyder, has been a major player in local police and criminal justice reform. As a lawyer, he's strived to protect vulnerable people and business and pushed for government accountability. In his short time on the council, Beggs has waded into the city's stickiest problems to explore creative and collaborative solutions. He points to the city's new snow removal plan to plow sooner and focus on schools and hospitals, the potential of hiring 10 more police officers and the improvements to Spokane's streets as evidence that the council's is working effectively. "That's because we work together, we're not stuck, and we don't have gridlock," he says. Challenger Andy Danau is endorsed by the Spokane County Sheriff Ozzie Knezovich. The streets don't lie. Over and over, Dunau says, the questions he hears from people while he's knocking on doors are about Spokane's infamous streets. "How are we picking between our short-term fixes, which fall apart in two to three years, and our long-term fixes?" he offers as an example. "What's the difference in materials we're using? I think they're good questions." His first project, if he wins, would be to review how the city has handled street repair starting from 2004, and "go to the public and say, 'Here's what we've done, here's what went well, and here are the things that have been learning experiences.'" Beggs, for his part, says members of city council meet twice a week with the Street Department. "We're doing well," he says. "In my time on council, Andy has never come to one meeting. The problem is, we spent decades not fixing the streets." Beggs agrees that continuing street repairs is high on the priority list looking forward to 2018. Also on his mind are reducing crime and addressing the homeless population. The council recently reserved space in the budget to hire 10 new patrol officers, Beggs points out. As for how to address Spokane's homeless population, both candidates support the city's role in funding the 24/7 shelter model. But Dunau criticizes Beggs for supporting the ballast rock recently installed under I-90, where some transient people camp. Beggs says the plan to place rocks under the freeway was in place before his time on the council. Still, he doesn't regret the decision, because "Lewis and Clark [High School] reported that people were coming out of those bushes in that block and assaulting people," he says. "They weren't necessarily homeless people, they were just people engaged in criminal behavior at a school." The homeless forum that followed public outcry over the basalt-rock placement has led to innovative programs and more funding from the city, he says. Even while Dunau criticizes Beggs for what he calls an extreme progressive agenda, he admires him for it. "He didn't run a poll, which says, 'My district believes this stuff, so now I'm going to be the Bernie Sanders of Spokane,'" Dunau says. "That is absolutely where he's coming from, and I respect that." But Beggs' flaw, in Dunau's eyes, is a litigious mindset. Dunau points to Proposition 2 on the ballot this November, which Beggs helped write. Prop. 2 would fine owners of oil and coal train cars carrying especially volatile Bakken crude oil. Dunau says the measure will result in expensive litigation on the taxpayer's dime. Beggs defends Prop. 2's legality, but acknowledges that the city might have to go to court if the measure passes. As for Dunau's strength? Beggs says his challenger is good at bringing people together to find solutions that work for all stakeholders. But when it comes time to make tough decisions that might not appease everyone, Beggs says Dunau falls short. Dunau resigned from the Park Board over his own concerns about mismanaged funds and "underbaked" projects. He didn't publicly say why he resigned until months later.